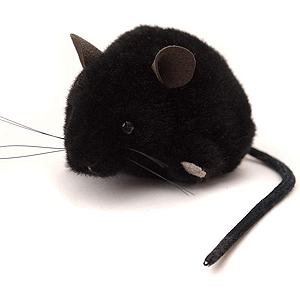 Kosen Black Mouse is made of the finest black plush. A wonderful soft and flexible Kosen mouse, with dark grey ultra suede ears, pale grey felt paws, black whiskers and a black tail . Product details: Kosen item number 5564, Pose: standing, safety eyes, weighted granule and synthetic filling material, surface washable only, total size 10cm.